I must say that Seoul is fantastic in that they offer so many free cultural experiences. 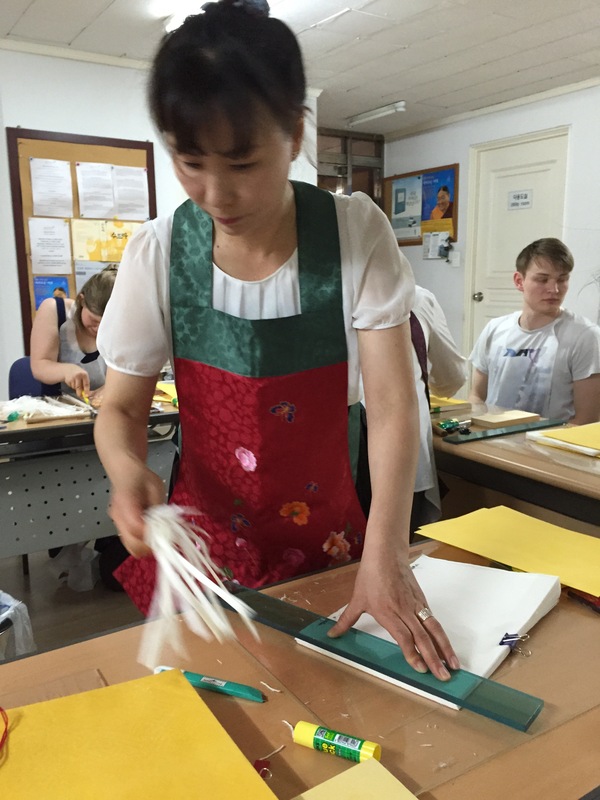 In addition to the free language classes that I mentioned Itaewon Global Village offers, we found out about the organization Korean Traditional Culture to the World (KCTW). KCTW’s purpose is literally to share traditional Korean culture with the world. 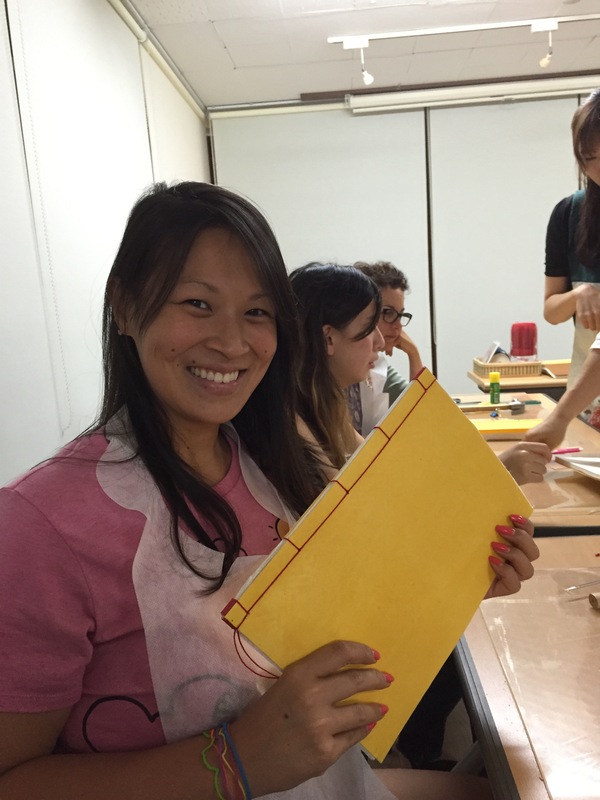 They offer a variety of programs free of charge including Hanji dying and Book binding, Traditional Korean Cooking, Tea and Meditation and more. A friend of mine and I decided to try out Hanji dying and Book binding. The class was held at the Buddhist English Library located in Jongno. When we arrived to class we were asked to remove our shoes and take a seat at the stations that they had set up for each participant. So a little more about what Hanji is. Hanji (which means Paper of Korea) is a type of paper, which is made from the fibrous skin of a mulberry. 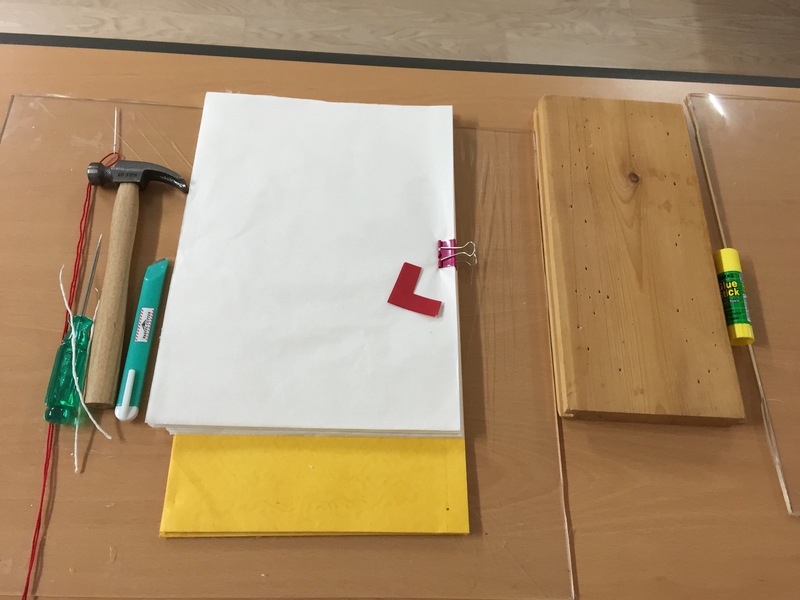 The paper is used in a variety of ways, from regular writing paper, to drawing paper, to books, to being used on doors and windows! It was commonly used on windows because wind can pass through and it helps to control the humidity. 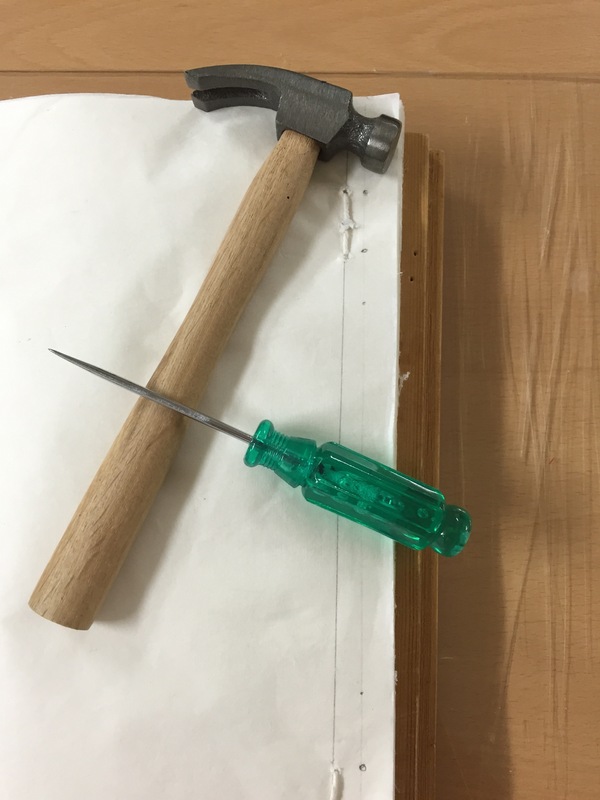 So the first step in our book binding was to take our paper and use the template to punch 4 holes with our pick and hammer. Then we took some paper string and tied it into a knot securing our book. Next they let us take a break from the hard labor to try our hand at Hanji dying. They had a yellow dye that was made from flowers and we completely submerged the large sheets of Hanji paper into the tub. Next we removed them and hung them to dry on the rack. We were told that it usually take a full day for the paper to dry and they dye the paper 3 times to get a vibrant color. 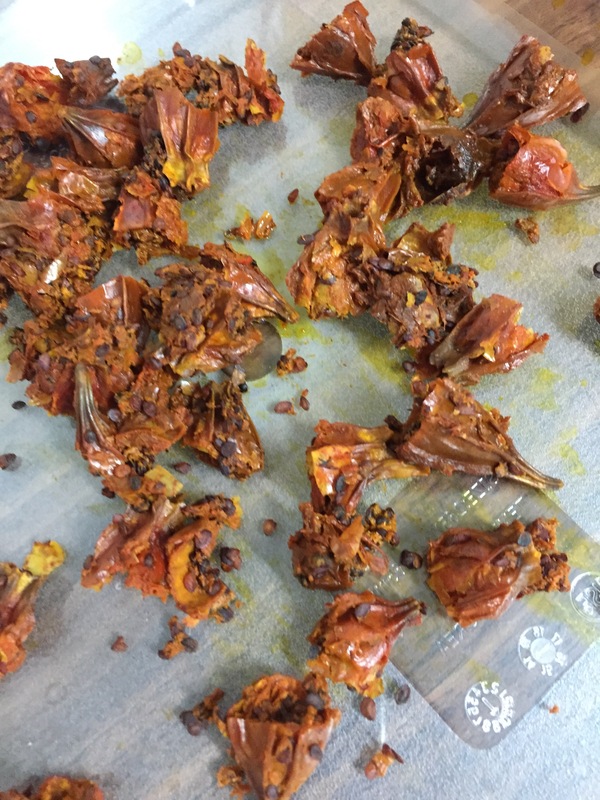 These are the flowers that the yellow dye was made from! After the dying, we went back to book binding. We took a very sharp blade and shaved off the uneven portions of our paper. 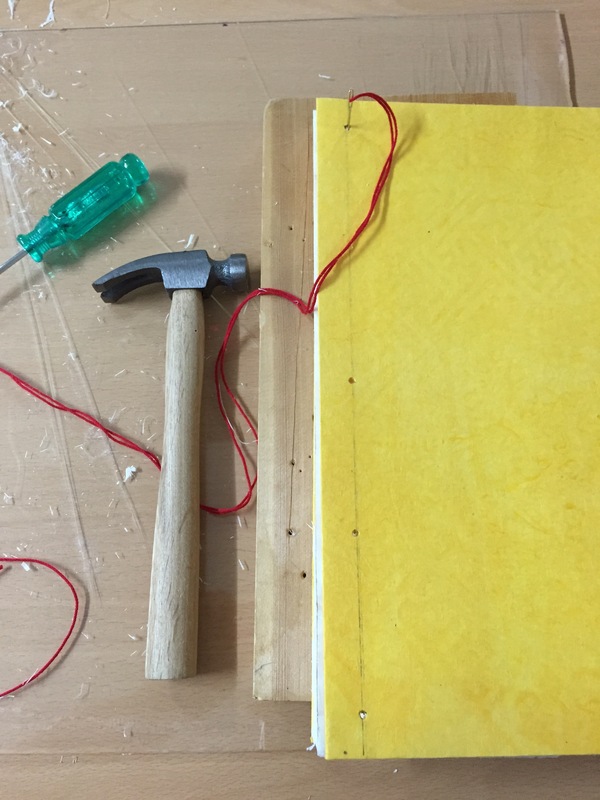 Next we put our yellow cover onto the paper and punched 5 holes. The number 5 we were told is auspicious and frequently used through Korean history. We then took our red string and wove it through in a very specific pattern. And that was it! We had our very own handcrafted book. The teacher said that she hoped we would write about our happiest memories of our time in South Korea and she wished us well. The course was nice and it was fun to get a little bit of history on Korean traditions. 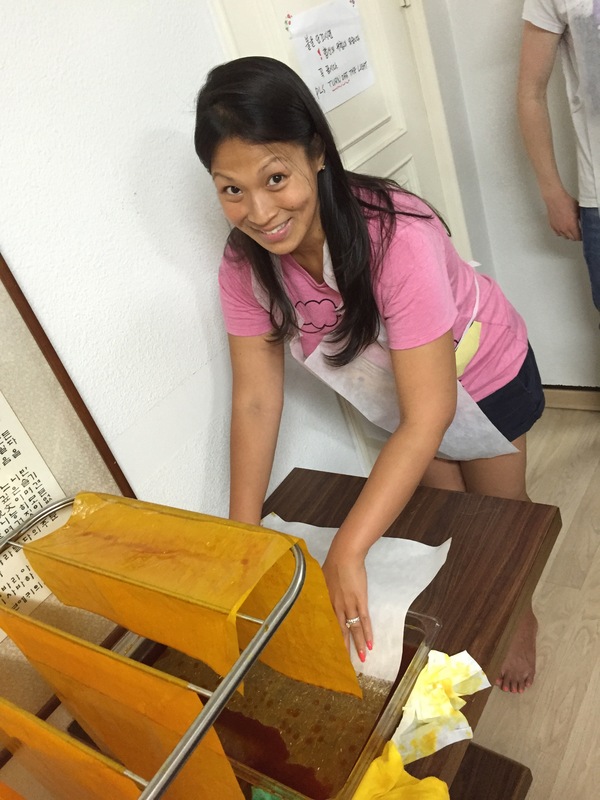 We will be doing the Traditional Korean cooking program next! We are looking forward to it and can’t wait to share our experience with you.